After years of living with a strict routine, I eventually got to a point in my life where I felt like I was just going through the motions and not really living life. Waking up in the morning became exceedingly hard. I felt myself slowly losing the drive go to work, and I had no interest to go out with friends. I often longed to break out of my routine, but I simply had no energy to follow through with my plans. My days consisted of going through my regular daily routine, then coming home to mindlessly watch TV and fall asleep. Strangely, despite the fact that I had started to feel despondent and worn out, I still clung to my routines. I clung to the predictability. I craved it, yet for some reason I despised it. I stayed in bed whenever I could, lost track of time, and skipped meals, especially during the weekends. I always told my friends that I had “stuff to do” whenever they would invite me to go out, but in reality, I would just be sitting at home, enjoying creature comforts and lazing about the house. Life had become increasingly boring, and so did I. At some point, I began looking back longingly on kind of life I had envisioned for myself. When I was younger, I had lots of plans for how I wanted my life to be, but the lure of a stable job and home life left me feeling both comfortable and secure—and before I knew it, I was trapped. I had always wanted to be a travel photographer, but since I was told over and over that there would be no security in such a career, I opted for a regular office job instead. It wasn’t that I was depressed. I had lost my zest for life and became so stuck in my ways that even as I felt the boredom and dissatisfaction growing stronger and stronger, I simply couldn’t get out of the mundane hole I had dug myself into. But one day, a friend of mine who was on a cross-country trip with her boyfriend (they had driven their RV across 10 states) came to visit me. After hearing about all their adventures, I became envious of their nomadic lifestyle. Somehow, they convinced me to join them for a weekend, and so I did. We drove out to Malibu and stayed at the Malibu Beach RV Park and had plenty of spontaneous fun, which I hadn’t experienced in a long time. It made me realize how much I itched to take on something new. I felt ready to course through unfamiliar places, find comfort in being alone, meet new people, explore new environments, and just go wherever I desired. To make the long story short, that one weekend convinced me to buy an RV. It was a spur of the moment decision, although I did do some research on how to choose the right vehicle for my needs. I hadn’t even made plans to travel, scheduled a vacation leave, or any of those things that would usually precede a long road trip. I felt reckless and adventurous. After buying the RV and making arrangements to rent out my home, I quit my job and set out for a life on the road. I soon learned that this was a stark contrast to my old life—it was uncomfortable, challenging, and exciting. Life no longer seemed like a boring chore that I had to get through, but an adventure that I longed to undertake. I learned to be more independent, more resilient, more resourceful, and best of all, it taught me to be more comfortable with myself. I learned to deal with my failings, as well as discover new strengths I never knew I had. Since RVing is a much simpler way to live, I began to shy away from the creature comforts I used to crave. I eventually stopped craving for them, and once I cut all these unnecessary things out, I notice how organized and uncomplicated my life had become. My wants and needs became crystal clear, and I was able to scold myself when I found myself complaining about the littlest things. Aside from giving me the chance to break out of my monotonous life and “find myself” (as cliche as that probably sounds), going the nomad route allowed me to finally pursue my dream of being a travel photographer. While I had enough money saved up to fund a few months of being jobless, I didn’t feel comfortable with having zero income, so I bought a new camera and began taking pictures on the road. I knew that I could make money as a photographer simply by taking photos of my adventures, and that’s exactly what I did. I took photos and sold them to stock photo websites, and eventually I put up my own website and started offering freelance photography services for small events such as birthday parties and even the odd portrait session here and there. The clients were few and the money wasn’t amazing, but each gig gave me a reason to travel to a new destination and meet new people, so it was a win-win either way. Speaking of meeting people, I have learned that the world is a much better place through the people I meet on and off the road. As a natural cynic, I had grown used to perceiving the world as dark and unforgiving. But based on the friendships I had formed throughout my RV escapades, I learned that there are a lot of good people in the world, and it’s become a pleasure rather than a chore to engage in social interactions. Despite the fact that I am often alone, I rarely feel lonely. It’s never easy to break out of your comfort zone, but when you do, you end up discovering things you never dreamed of. 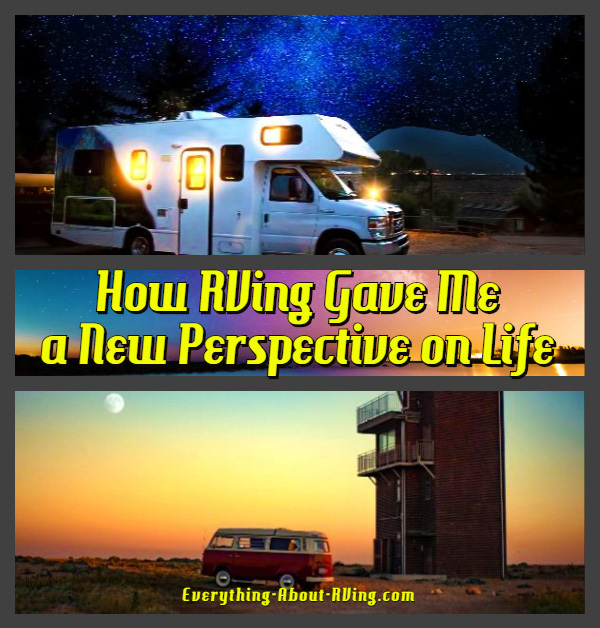 RVing has made me appreciate a lot of things—including my own life. I am never bored, and even with the hardships, I feel comfortable and content. The sense of freedom and adventure has helped me find a stronger purpose and a new perspective on life. I finally figured out what I wanted my life to be, without having to settle or be forced into a seemingly good but undesirable situation. The truth is, I kind of miss living a conventional life sometimes. But I honestly wouldn’t trade my new life (and my RV) for anything in the world. I am a travel photographer with several years of experience in the field. Being a freelance blogger enables me to help photography beginners and enthusiasts to tell wonderful stories of their travels as seen through their lenses. It also allows me to share my thoughts about another advocacy of mine: social equality and change.